The 2015 Caribbean Advertising Federation Addy Awards are out, and we have won! 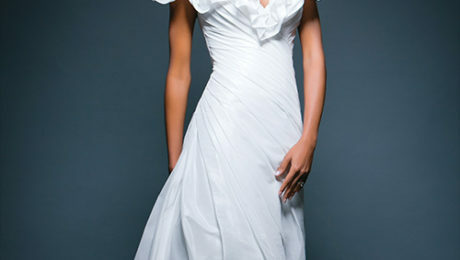 Caribbean Belle WEDDINGS has won GOLD in the category of Publication Design – Magazine Design. Many thanks to all our fans and clients who support us! The Caribbean Advertising Federation is the first and only non-American member of the American Advertising Federation and is part of the 4th District of Florida and the Caribbean. 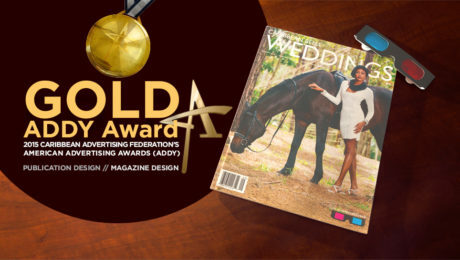 Belle Weddings has won Silver for Best Overall Magazine Design at the Caribbean Advertising Federation (CAF) ADDY Awards 2013. The CAF is a member of the American Advertising Federation (AAF), which represents thousands of advertising companies in the United States and the Caribbean. The ADDY Awards are sponsored by AAF and are the advertising industry’s most comprehensive and prestigious competition recognising creative excellence in numerous categories of various media types. This year, 678 entries were judged from over 37 different companies representing Barbados, Trinidad & Tobago, Jamaica, U.S. Virgin Islands, St. Lucia, Grand Cayman and Puerto Rico.